A security breach can disrupt the operations of any business. One of the things that makes business security in Ithaca such a challenge is it requires protection from a variety of threats. Hacks, theft, employee fraud and break-ins are all potential threats to the majority of businesses. Although addressing all of those issues can be a lot to handle, the good news is it’s not something you have to do by yourself. Instead, your Ithaca business can benefit from Teledair’s over twenty years of experience. Because we’ve helped clients with everything from camera to phone systems, we know exactly what it takes to keep businesses secure and running smoothly. And while we also know that covering all your security bases can be a little intimidating, we’ve seen countless examples that prove why prevention is always a better path than scrambling to deal with the aftermath of any type of breach. When it comes to understanding business security, the best place to start is by looking at the basic types of systems that can be used. Video, wireless and access control systems are the main options businesses from all sectors use to protect themselves from the wide range of threats discussed above. The reason that a video system is so useful to businesses is because it provides a simple way to have eyes throughout an entire area. This is helpful for monitoring both employees and visitors. 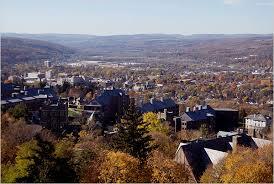 For example, we helped Open MRI in Ithaca with their business phone systems. We also helped the Maguire Auto Dealerships with their security camera systems for their multiple locations in the Southern Tier including It haca. 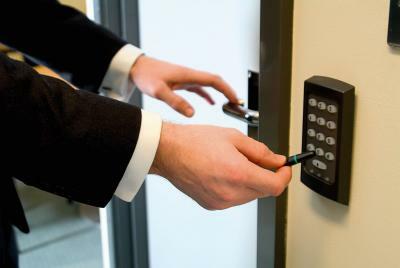 Although it may not be the first thing on the mind of someone who’s starting a new business, it doesn’t take long for the importance of access control to become apparent. Not only does this type of system make it possible to provide different employees with individualized levels of access throughout a business, but it’s also the most effective way to keep track of entrance activity. Since logging is done automatically, any disputes or questionable actions can be confirmed in no time. While wireless solutions may not be the ideal fit for every business, the reason they’re in their own category is because for some businesses, they’re exactly what’s needed to make the security system as efficient as possible. Since businesses commonly have quite a few questions about this specific type of technology, we’re always happy to sit down with our clients and help them evaluate if wireless is right for their specific business needs. Finally, this type of post wouldn’t be complete without mentioning the necessity of an alarm system for any retail or other commercial location in Ithaca, New York. As with the other security options, there are a lot of available features and options. That’s why we encourage you to reach out to us at Teledair Communications & Security so we can help you evaluate which type of alarm system will do the best job of keeping your business secure.